Somewhat buried in history is that today’s railroad map is a product of behind-the-scenes actions by former Senate Commerce Committee Chairman Ernest Frederick (Fritz) Hollings (D-S.C.), who died April 6 at age 97. He was Commerce Committee Chairman 1987-1995 and 2001-2003, during years Democrats controlled the Senate. He left office in 2005. Had Hollings’ protégé, Interstate Commerce Commission (ICC) and then Surface Transportation Board (STB) Chairman Linda J. Morgan, not engineered in 2000 a 15-month moratorium on railroad mergers, scuttling a proposed BNSF and Canadian National (CN) marriage, the number of major railroads in North America may well have become two rather than the current seven—BNSF, CN, Canadian Pacific (CP), CSX, Kansas City Southern, Norfolk Southern (NS) and Union Pacific (UP). 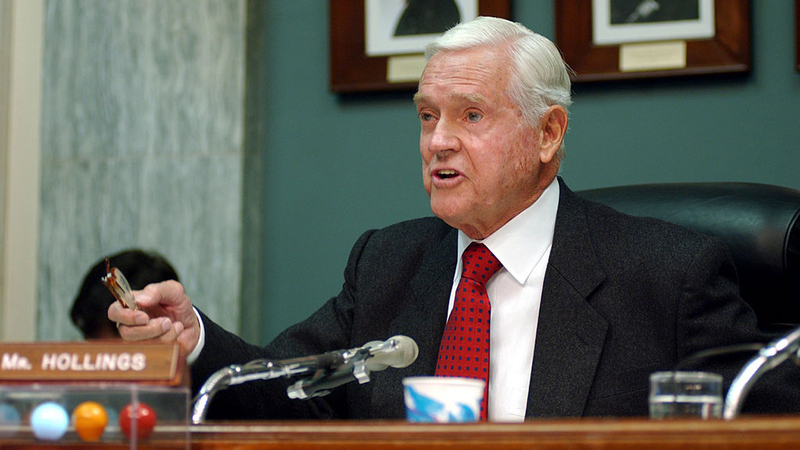 That Morgan did succeed in calling a highly controversial and court-challenged time-out on rail merger applications has much to do with Fritz Hollings. At the time of her 1994 nomination by Democratic President Bill Clinton to STB predecessor ICC, Morgan had been a 15-year Senate Commerce Committee attorney and legislative aide, reporting to fellow Democrat Hollings, whose political juice had much to do with her selection as a rail regulator. In fact, 11 months following Morgan’s Senate confirmation—and largely attributed to Hollings’ efforts—Clinton demoted ICC Chairman Gail McDonald, also a Democrat, and inserted Morgan as ICC chairman, a post, by statute, controlled by the President. Of trivia value, Morgan thus became the last Chairman of the ICC and first Chairman of successor STB, which began life Jan. 1, 1996, as directed by the 1995 Interstate Commerce Commission Termination Act (ICCTA). In 1999, it was Hollings’ Senate rank and personal grit that saved Morgan from being a one-term regulator, as her Clinton nomination to a second term was under brutal attack by politically powerful rail labor unions and rail captive shippers. Her detractors were unhappy with her voting record in favor of five separate rail mergers, with the AFL-CIO calling her “anti-labor” and opposing her renomination and reconfirmation. Captive shippers, whose legislative agenda was advanced by senior Commerce Committee members Jay Rockefeller (D-W.Va.) and Conrad Burns (R-Mont. ), bristled at her opposition to opening one-railroad-served origins and destinations to two-railroad competition through grants of trackage rights and mandated reciprocal switching. With Hollings bridging the troubles, Morgan was reconfirmed to a second term by a 96-3 vote in November 1999. Days earlier, Morgan canceled a Nov. 5 National Press Club speaking appearance sponsored by the Journal of Commerce and Traffic World to fly to the Mission Hills Resort in Rancho Mirage, Calif., for an Association of American Railroads event (with the STB paying her expenses). Upon confirmation, Clinton redesignated Morgan as Chairman, allowing her, the following March, to impose the 15-month merger moratorium, which may have been one of the gutsiest and least-likely-to-succeed regulatory decisions in rail history—a most surprisingly successful, precedent-shattering and consequential Hail Mary action so doubtful of legal standing that even her STB General Counsel Henri Rush chose not to defend it in federal court, assigning in his place a junior attorney. But the moratorium was successfully defended, and railroad history changed as a result. Not to be ignored historically is that as Hollings advanced Morgan’s career, Morgan and her husband—as she revealed at her Sept. 28, 1999 confirmation hearing—had contributed, over the previous two years, $9,000 toward Hollings’ reelection campaign and a political action committee (PAC) Hollings sponsored (Citizens for a Competitive America). The Congressional Accountability Project, a Capital Hill ethics watchdog, called the contributions “unusual” in amount and circumstance. Almost entirely due to Hollings’ political arm-twisting, Morgan, shortly into her second term, kept an appointment with destiny. It arrived March 17, 2000, when the STB announced it would suspend for 15 months the acceptance of rail merger applications while the agency formulated new merger rules. 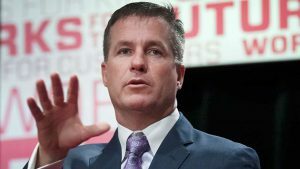 This was “one of the most difficult decisions that I have had to make,” Morgan said, with the board ruling that “existing merger policies and procedures are not appropriate for dealing with future large railroad merger proposals” that could result in just two North American rail systems. 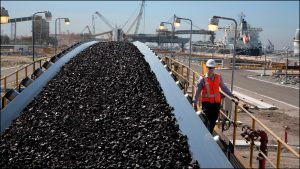 Included in the merger moratorium was an about-to-be filed merger application of BNSF and CN to create the 50,000-mile North American Railways linking eight Canadian provinces and 33 U.S. western states. Actually, Morgan wanted a 24-month time-out, but to gain the votes of her two other board members—Democrat William Clyburn Jr. and Republican Wayne O. Burkes—she accepted 15 months (Burkes had sought 12 months). Times they were a changin’. Between 1958 and 1999, of 40 rail merger applications filed with the ICC and successor STB, 36 were approved, so that by 1999, there were but seven major North American railroads, with BNSF and UP dominant in the West, and CSX and NS dominant in the East. Since her arrival at the ICC in 1994, Morgan had voted in favor of five rail mergers, including Union Pacific+Chicago & North Western, Burlington Northern+Santa Fe, Union Pacific+Southern Pacific (SP), the carve-up of Conrail by CSX and Norfolk Southern, and CN+Illinois Central. But so problematic were the post-merger problems of UP+SP and the Conrail carve-up—including their cascading effects owing to the nation’s rail network interconnectivity—that Morgan said the time-out was essential. 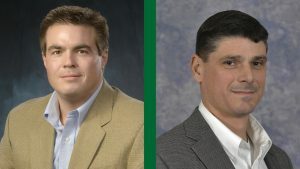 Rather than follow precedent of ruling on merger applications “one-case-at-a-time,” with a narrow emphasis on each application’s merits, pre- and post-merger financial health and benefits of single-line service, Morgan said the board intended new rules that would consider “downstream” effects of a proposed merger, including likely defensive merger applications by other railroads and impacts on regional and short line railroads. 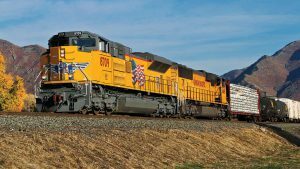 “It simply makes no sense to attempt to develop new merger rules in the middle of what could likely be the final round of major railroad mergers,” said the STB in including the about-to-be-filed BNSF+CN merger application in the moratorium. BNSF and CN went to court, challenging that statutory authority in hopes of forcing their merger application to be considered. They asserted that the cited provision was limited to suspending and investigating allegedly unreasonably high freight rates in emergency situations. In fact, a year earlier, a federal appellate court reversed an STB order premised on the same cited authority—where the STB sought to bar CP from transferring train dispatchers from Milwaukee to Montreal. In a split 2-1 decision issued July 14, 2000, the District of Columbia Circuit Court of Appeals upheld the March 17 merger moratorium and its inclusion of the BNSF+CN application, saying the STB “neither violated the statute or otherwise exceeded its authority.” The majority relied largely on a 1984 Supreme Court decision known as “Chevron Deference,” which instructs appellate courts to afford to expert regulatory agencies great deference in their interpretation of a statute unless the court finds the regulators’ interpretation to be unreasonable. Their judicial appeal—seeking to stay the merger moratorium so that they might file their merger application—having failed, BNSF and CN scuttled their merger plans on July 20, 2000, along with a novel pre-nuptial promise they had made: If their post-merger performance didn’t measure up, reparations would be paid shippers. As other history records, new merger rules subsequently were imposed, and as history also records, there has not since been filed with the STB a formal merger application seeking to combine two or Class I railroads. 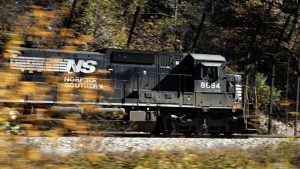 Of note, an unsolicited offer by Canadian Pacific to acquire Norfolk Southern was rejected by NS in 2016 without a merger application being filed with the STB; and CP and CSX broke off preliminary merger discussions in 2014. Of additional note, Morgan voluntarily resigned from the STB in April 2003, ahead of her Dec. 31, 2003, second-term expiration. She subsequently headed the transportation practice of Coving & Burling LLP, a Washington, D.C., law firm representing BNSF rival UP, and later moved to Nossaman LLP. She also subsequently served on the board of CN competitor CP. Morgan died in 2015 at age 63 after a long battle with cancer. 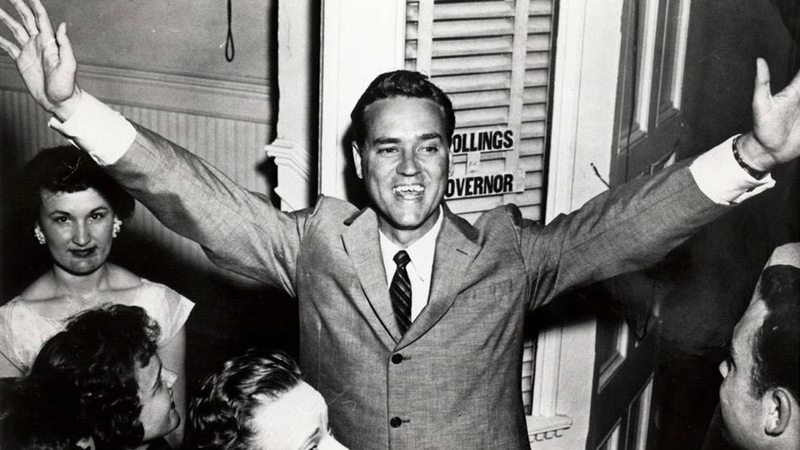 Hollings, first elected to the Senate in 1966, did not seek re-election in November 2004. Although Hollings was a Senate Commerce Committee member in 1980, he did not cast a vote on the Staggers Rail Act, which provided freight railroads with partial economic deregulation. 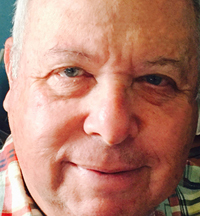 Frank N. Wilner is author of six books, including Amtrak: Past, Present, Future; Understanding the Railway Labor Act; and Railroad Mergers: History, Analysis, Insight, all published by Simmons-Boardman Books. Wilner earned undergraduate and graduate degrees in economics and labor relations from Virginia Tech. He has been assistant vice president, policy, for the Association of American Railroads; a White House appointed chief of staff at the Surface Transportation Board; and director of public relations for the United Transportation Union. He is a past president of the Association of Transportation Law Professionals. Wilner drafted the railroad section of the Heritage Foundation’s Mandate for Leadership (Volumes I and II), which were policy blueprints for the two Reagan Administrations; and was a guest columnist for the Cato Institute’s Regulation magazine.